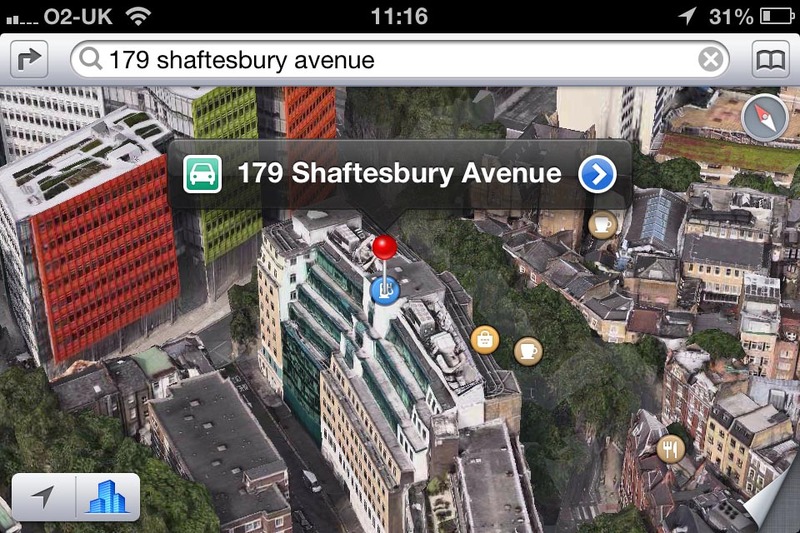 Finding your way in iOS 5 Street View and iOS 6 Maps Flyover, with pictures! I’ve seen a few comments out there to the effect that actually people should remember this is the first release, that mapping is hard, that it’s not their fault Google wouldn’t give them maps, and therefore Apple should be cut some slack. To my mind, this is nonsense. It’s effectively grading Apple on a curve, giving them a pass to create something sub-standard because doing good maps is really tough. His point was the customer doesn’t care about behind-the-scenes problems and Apple ultimately has no excuse for making the experience worse. At the time, I somewhat disagreed with the no-slack argument, but I’m now coming round to it, largely because some pundits and writers appear to have a level of cognitive dissonance that boggles the mind. The latest thing I’m seeing is that, hey, we don’t need Street View in iOS anyway. Why? Because we’ve got Flyover, which is much better. This is clearly a ‘better’ I’m not familiar with. Flyover is without doubt fun. You can scoot about major cities, spin the map in 3D, and laugh when it all goes a bit wrong. 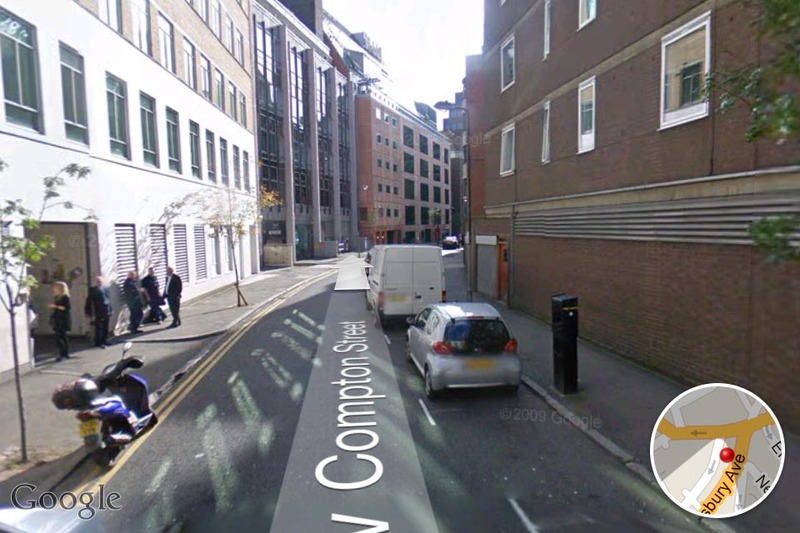 Thing is, Street View wasn’t a gimmick—it was practical. You could use it to plan routes and check landmarks, making walking to or driving to a location easier. Maps are all about planning and directions, and Google Maps succeeds at both. So, first up: Google Maps. 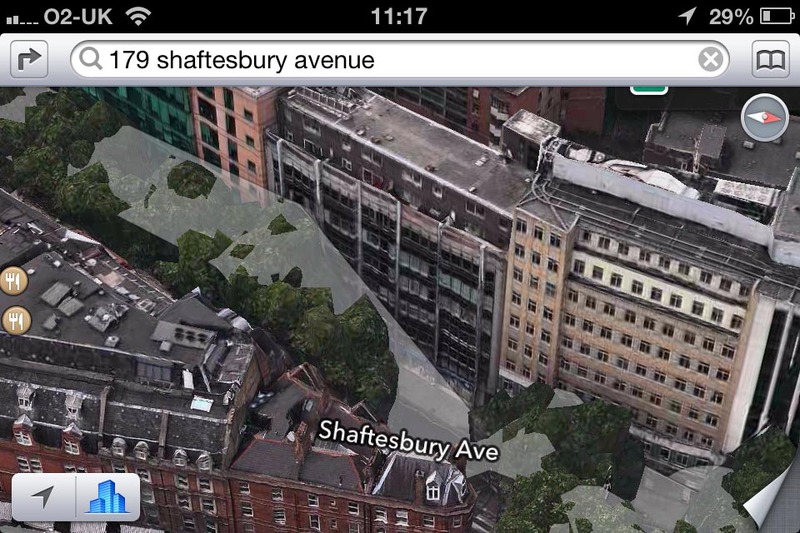 My iPod’s still on iOS 5, and so I typed ‘179 Shaftesbury Avenue’ into the Maps app and fired up Street View. 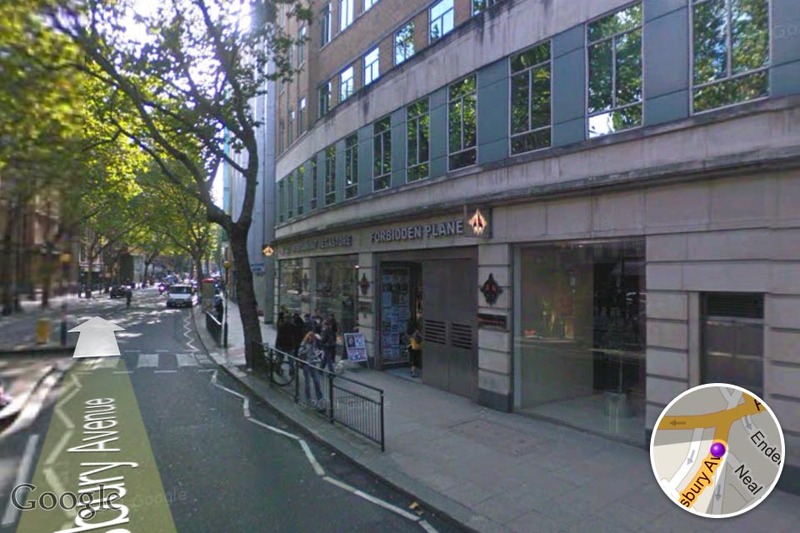 Helpfully, Google Maps immediately put me on the wrong street—Compton Street runs parallel to Shaftesbury Avenue. Oops. Google Maps isn’t perfect either. I could have used the arrows to navigate around the corner, but I figured it’d be quicker to go back to the map and drop a pin on the road outside of the place I wanted to see. I could then fire up Street View from that location. Spin round and there it is: a little slice of geek heaven, with a handy crossing right next to it. When walking or driving, these visuals are hugely useful. So, iOS 6. 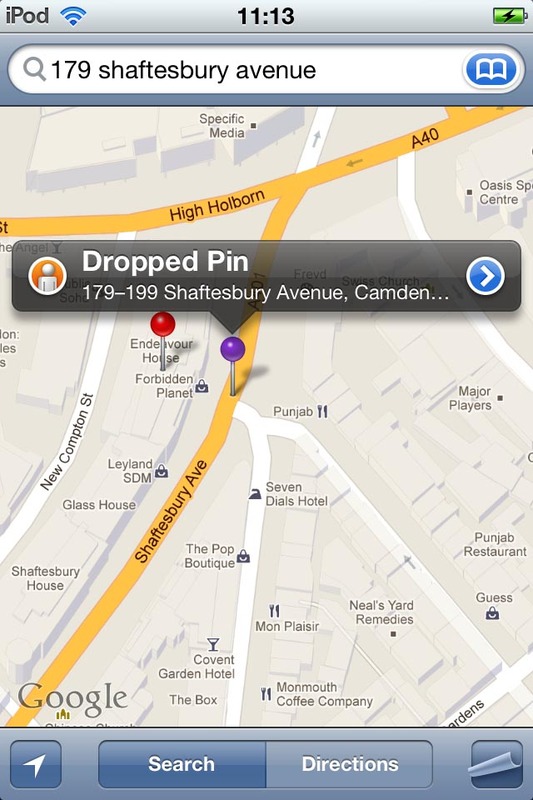 To the app’s credit, it at least got the location right, with more or less the same precision as Google Maps. I tapped Flyover and zoomed in as far as possible. The resulting view would be fine for planning some kind of invasion from the air of a comic-book store, but at this point I’d question its general usefulness. 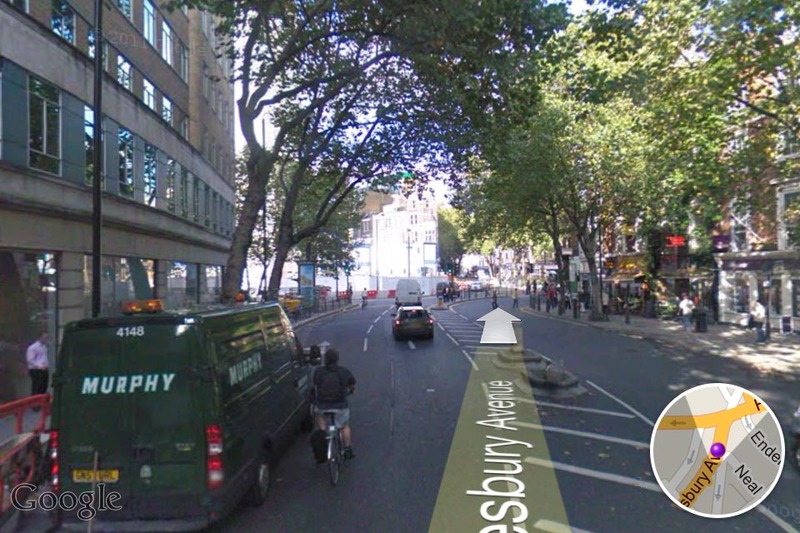 Worse, the following image shows what Shaftesbury Avenue looks like. Clearly, the trees confuse Apple’s software, and the result is a street that has buildings with slowly melting roofs that’s infested with Triffids. And unless you own a helicopter and regularly parachute from it to locations in London when shopping, there’s no practicality to be had even if the trees weren’t there. The lack of detail means you simply cannot see landmarks from the point of view you have in a car or when walking. To my mind, Flyover isn’t anywhere near a straight switch for Street View, and the worrying thing is that Apple probably won’t create something like Google’s solution. Right now, Flyover is merely an amusing toy for armchair tourism of select cities. It’s of little or no practical benefit, and it’s of no use whatsoever in finding your way to anywhere remotely obscure (unlike Google Maps, where you can see what a junction to a road in the middle of nowhere looks like, along with any helpfully odd-looking trees in the vicinity). Any pundits somehow suggesting otherwise either don’t use Maps that often for this kind of navigation or really need to share their helicopters with the rest of us.